On Sunday, 30th August Sabrina Cooke-Nivet was licensed as a Diocesan Reader by the Bishop of Cork, the Right Reverend Dr Paul Colton, during the Parish Eucharist in the Church of the Holy Trinity, Frankfield, Cork. Members of Sabrina’s family were present. 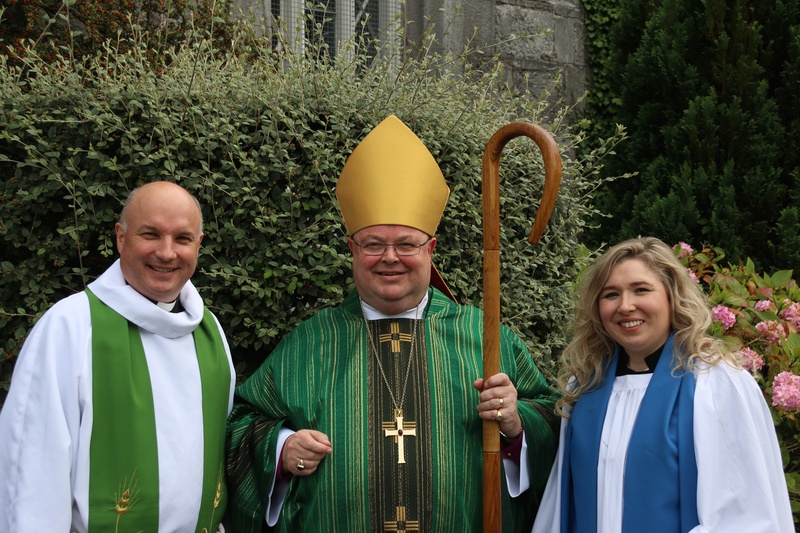 Sabrina Cooke-Nivet (right) with the Bishop of Cork, Dr Paul Colton and the Archdeacon of Cork, the Venerable Adrian Wilkinson (left) following Sabrina’s licensing as a Diocesan Reader. 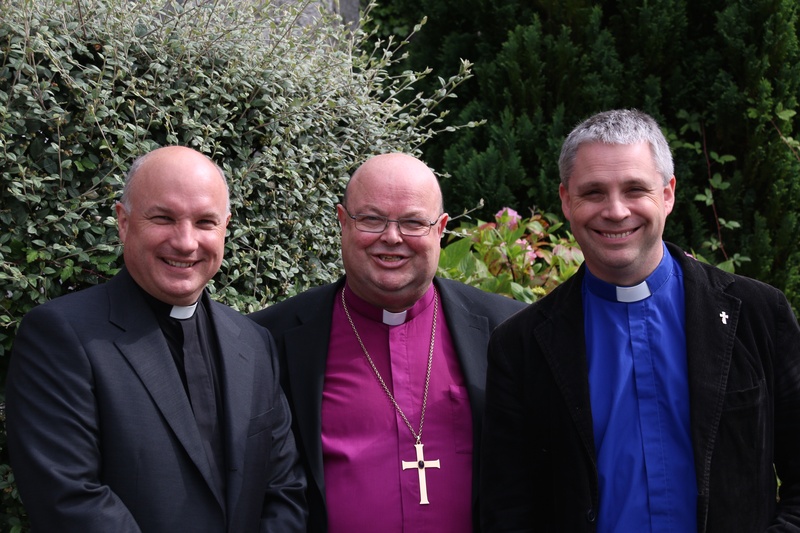 The Reverend David Bowles (right), a Deacon, who was licensed by the Bishop of Cork, Dr Paul Colton, to serve as curate-assistant of Douglas Union, with Frankfield, where the rector is the Archdeacon of Cork, the Venerable Adrian Wilkinson (left). This entry was posted in Diocese and tagged Licensing. Bookmark the permalink.